Are you doing Erasmus in Portugal and want to learn how to surf to enjoy our awesome, incredible, fantastic waves? Did you use to surf in your country and want to keep doing it here? Look no further, you're at the right place: you don’t even need to grab a surfboard (Angels Surf School has some top-quality equipment, we take care of that), just pay us a visit! You'll get all the attention you need - we only work with small groups, 3 students per coach utmost. Plus, our teachers are certified by the Portuguese Surf Federation, speak English fluently and, of course, want you to have the time of your life. Or other equipment – we’ll help you with whatever you need. Always top-quality and adapted to your needs. Besides being super experienced and professional, our teachers also speak English fluently. No problem. We're strongly against packed lessons! In our lessons, we have 1 teacher for 3 begginers and that's it. Erasmus students have a 10% discount on our packs. Contact us to know more or just drop by. A ngels Surf School is located at Carcavelos Beach, a surf hotspot just 30 minutes away from Lisbon, the closest you can find (GPS: 38º40’51.91”; N9º 20’18.89” W). You can surf in Carcavelos at any time throughout the year. The School is run by Marcos Anastácio, a former Portuguese surf champion and vice European champion. 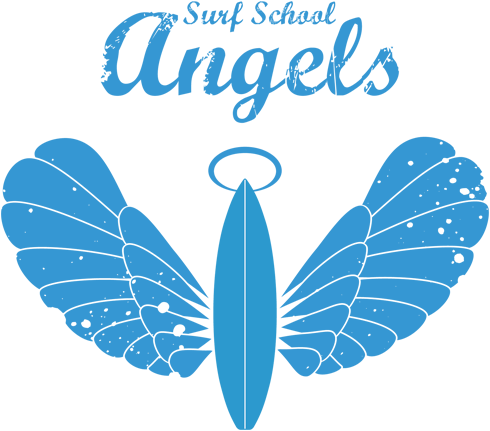 A ll of Angels Surf School surf instructors are certified by the Portuguese Surf Federation and every element of the Angels team is focused on providing you with everything needed to guarantee a memorable and safe surf experience. Bring a towel, bathing suit, flip-flop and sun-screen... everything else just let us take care of it. F or more information you can get in touch with Marcos by dialing +351 962 681 113 or send us an email to angelssurfschool@gmail.com. If you want to come here from Lisbon, just take the subway to Cais de Sodré, get into a train heading to Cascais and exit at Carcavelos Station (train ride takes 25 minutes). Then it's just a 5 minutes walk to the beach.